Are you thinking about buying a health and fitness business? Here's everything you need to know! Low-cost fitness centres are taking over Canada, offering memberships for as little as $10 a month. Aggressive prices and rapid franchise expansion are two big factors you’ll have to compete with to break into the health and fitness industry. In the last five years, fitness franchises have taken over the Canadian market by offering aggressively low membership fees. For example, Planet Fitness have 1,600 locations worldwide and have cornered the market by charging their members a steal of $10 a month. 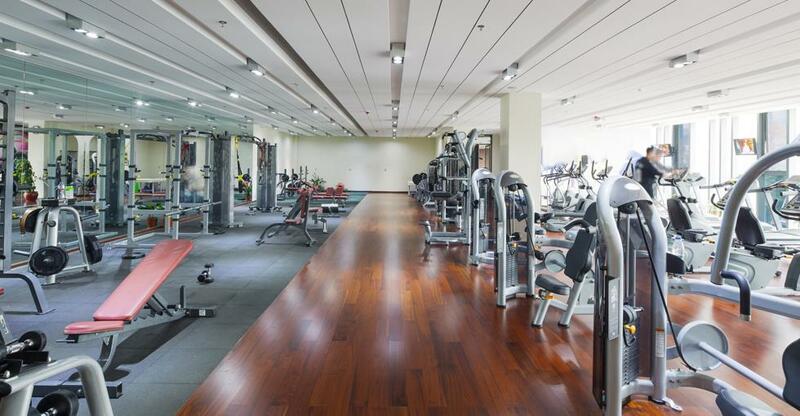 It seems there is no middle ground when it comes to fitness centres. At the one end of the scale there are the luxury clubs which offer services from state-of-the-art exercise machines to fine dining and even whiskey tasting. Although they are only a small percentage of the market, high-end gyms can charge their members up to $250 a month. At the other end of the scale, low-cost, high volume gyms offer $10-$40 a month. From 2014 to 2015, just less than 280 mid-range fitness centres were forced to closed; whereas discount gym continued to sprout up across Canada. If you are going to compete with the bargain clubs, you need to find a niche in the market and something your competition can’t offer. Owning an independent business gives you the ability to offer personal, tailored services to your members. There are roughly 7,000 fitness and recreational sports centres across Canada, offering a range of services and facilities such as exercise classes, gym equipment and exercise machines, as well as recreational activities such as swimming, skating, racquet sports, etc. Some entrepreneurs may be keen to offer a health and fitness service, such as personal training or sports coaching lessons, as opposed to purchasing a physical premise. This will drastically reduce the initial outlay you would need to set up a business in the fitness sector. Alternatively, you may prefer to work on the retail side of this industry; opportunities could involve opening a sportswear and fitness equipment store. Health and personal care stores are also big business, with approximately 25,570 operating throughout the country. The physical size of your business and the facilities will determine what type of services you can offer. For example, if your fitness centre has a pool, you should schedule aqua aerobics classes or host water polo competitions to utilise this feature to its highest potential. Offering different membership packages and prices is a great way to attract more clientele. You could also have the option of personal training services and a mix of different fitness classes for your customers. Consider the demographic in your area and tailor your services to appeal to locals. You need to create a social environment where your members can also relax and unwind. Consider setting up a coffee shop and snack bar within your fitness centre, or rent the space to another entrepreneur to alleviate the stress of running two different businesses. To be passionate about health and fitness is not enough to survive in this sector; you’ll also need to have certain entrepreneurial qualities to succeed. Leadership skills and having the patience to hire, train and motivate employees to a high standard is essential in order to run a successful business. Every business tycoon should be excellent at project managing and meeting deadlines. Firstly, you should identify a specific goal that you want to achieve, then you will need to utilise your team and resources to reach that goal within a set time period. Fitness centres are often open long, unsociable hours, so be prepared to be on hand from early mornings to late evenings. Once you have established the business, you can employ and train managers to take on certain responsibilities so that you can free up more of your time. If you plan to set up a retail business, such as a health foods store or sports shop, then you will need a few different skills, such as merchandise control, loss prevention and product knowledge. You should also have good attention to detail and customer service skills.